It is a course making a round trip to straight line 50m. The experience only in the north country waits! Please touch it with a pretty husky a lot♪ *No pick up service available. Please come to YUMA by yourself. Friendly Dogs are waiting you at here! We make an effort that an each person’s visitor says "It was fun!" My children and I had one of the most memorable experiences with the huskies and taking us for a short but sweet dog sledding time in Furano. The staff was helpful and we take home with us pictures and videos of our dog sledding moments. 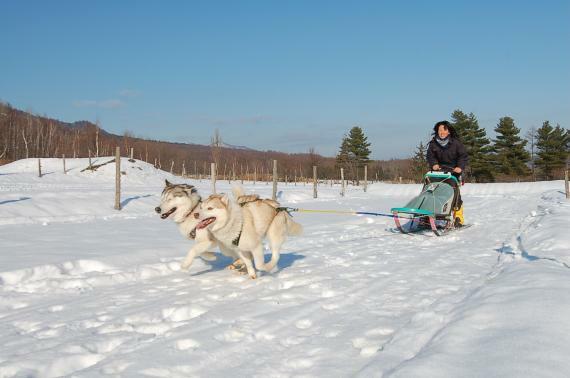 Enjoyable time dog sledding in Furano. Would love to go back and do a longer sledding adventure next time with the family.